When Will Hunt was sixteen years old, he discovered an abandoned tunnel that ran beneath his house in Providence, Rhode Island. His first tunnel trips inspired a lifelong fascination with exploring underground worlds, from the derelict subway stations and sewers of New York City to sacred caves, catacombs, tombs, bunkers and ancient underground cities in more than twenty countries around the world. Underground is both a personal exploration of Hunt’s obsession and a panoramic study of how we are all connected to the underground, how caves and other dark hollows have frightened and enchanted us through the ages. 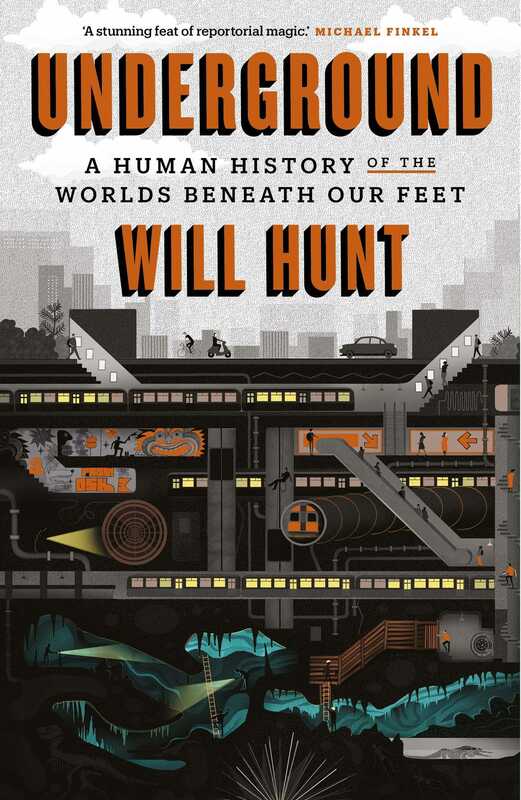 In a narrative spanning continents and epochs, Hunt follows a cast of subterraneaphiles who have dedicated themselves to investigating underground worlds. He tracks the origins of life with a team of NASA microbiologists a mile beneath the Black Hills, camps out for three days with urban explorers in the catacombs and sewers of Paris, descends with an Aboriginal family into a 35,000-year-old mine in the Australian outback, and glimpses a sacred sculpture moulded by Paleolithic artists in the depths of a cave in the Pyrenees. Each adventure is woven with findings in mythology and anthropology, natural history and neuroscience, literature and philosophy – this is a graceful meditation on the allure of darkness, the power of mystery, and our eternal desire to connect with what we cannot see. Will Hunt's writing, photography and audio storytelling have appeared in The Economist, The Paris Review, Discover, Audible Originals,and Outside, among other places. A recipient of grants and fellowships from the Thomas J. Watson Foundation, the New York Foundation for the Arts, the Bread Loaf Writer's Conference, and The Macdowell Colony, he is currently a visiting scholar at the NYU Institute for Public Knowledge. Underground is his first book.